Sydney is known for nightlife, trails, beaches, parks, and museums. Your plan includes some of its best attractions: get to know the fascinating history of The Rocks, make a trip to Sydney Harbour Bridge, tour the pleasant surroundings at Manly Beach, and kick back and relax at Bondi Beach. To find more things to do, ratings, and more tourist information, refer to the Sydney trip itinerary planning site . Melbourne to Sydney is an approximately 3.5-hour flight. You can also do a combination of shuttle and flight; or drive. Traveling from Melbourne in July, you will find days in Sydney are somewhat warmer (21°C), and nights are about the same (9°C). Finish up your sightseeing early on the 4th (Thu) so you can travel to Alice Springs. Kick off your visit on the 4th (Thu): contemplate the long history of Alice Springs Telegraph Station Historical Reserve and then get the lay of the land with Walking tours. Make your Alice Springs itinerary with Inspirock to find out what to see and where to go. Traveling by flight from Sydney to Alice Springs takes 5.5 hours. Alternatively, you can drive; or take a bus. Plan for slightly colder nights when traveling from Sydney in July since evenings lows in Alice Springs dip to 3°C. 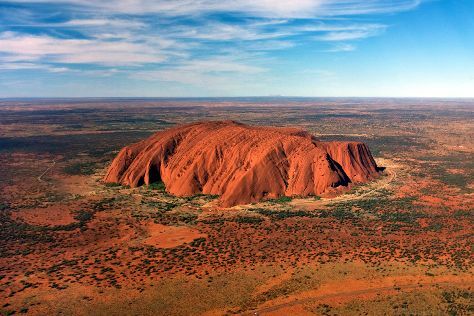 Wrap up your sightseeing on the 5th (Fri) to allow time to travel to Uluru-Kata Tjuta National Park. Start off your visit on the 5th (Fri): trek along Uluru Hiking Path, then explore the striking landscape at Uluru, and then trek along Kuniya Walk. Keep things going the next day: explore the galleries of Walkatjara Art, get all the information you need at Uluru-Kata Tjuta Cultural Centre, then take in the dramatic natural features at Kata Tjuta, and finally get outside with Walpa Gorge. For where to stay, maps, photos, and other tourist information, you can read our Uluru-Kata Tjuta National Park journey builder tool . You can do a combination of taxi and flight from Alice Springs to Uluru-Kata Tjuta National Park in 2 hours. Alternatively, you can drive. July in Uluru-Kata Tjuta National Park sees daily highs of 24°C and lows of 4°C at night. Wrap up your sightseeing by early afternoon on the 7th (Sun) to allow time for travel to Kings Canyon. To see traveler tips, reviews, ratings, and tourist information, go to the Kings Canyon trip planner . Traveling by car from Uluru-Kata Tjuta National Park to Kings Canyon takes 4 hours. Finish your sightseeing early on the 8th (Mon) so you can travel to Alice Springs. 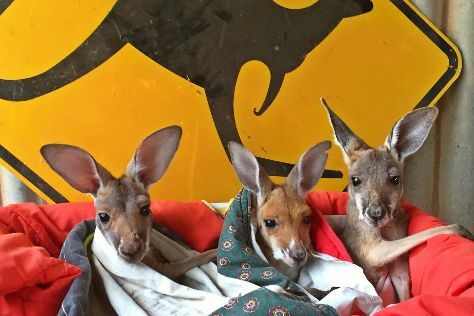 On the 9th (Tue), look for all kinds of wild species at Alice Springs Desert Park, then look for all kinds of wild species at The Kangaroo Sanctuary, and then get great views at Anzac Hill. To find traveler tips, more things to do, photos, and other tourist information, you can read our Alice Springs trip maker app . Drive from Kings Canyon to Alice Springs in 6 hours. Finish up your sightseeing early on the 10th (Wed) so you can travel to Darwin. Kick off your visit on the 10th (Wed): brush up on your military savvy at Darwin Aviation Museum, admire the natural beauty at George Brown Darwin Botanic Gardens, and then take an in-depth tour of RFDS Darwin Tourist Facility. Get ready for a full day of sightseeing on the next day: enjoy the sand and surf at Mindil Beach, pause for some serene contemplation at St Mary Star of the Sea Catholic Cathedral, and then make a splash at Wave Lagoon. To find photos, reviews, and more tourist information, read Darwin vacation planner. Traveling by flight from Alice Springs to Darwin takes 5.5 hours. Alternatively, you can drive; or take a bus. Traveling from Alice Springs in July, expect nights in Darwin to be much warmer, around 22°C, while days are somewhat warmer, around 36°C. You will have some time to spend on the 12th (Fri) before leaving for Jabiru (Kakadu National Park). Jabiru is a town in the Northern Territory of Australia. On the 12th (Fri), make a trip to Bardedjilidji Walk and then take in the dramatic natural features at Maguk Gorge. On the 13th (Sat), you'll have a packed day of sightseeing: contemplate the long history of Nourlangie Rock and then explore the ancient world of Ubirr. To find traveler tips, where to stay, more things to do, and more tourist information, go to the Jabiru (Kakadu National Park) day trip app . You can drive from Darwin to Jabiru (Kakadu National Park) in 2.5 hours. Another option is to take a bus. Wrap up your sightseeing on the 14th (Sun) early enough to travel to Mataranka. Mataranka is a community of about 400, in the Top End region of Australia's Northern Territory. Start off your visit on the 14th (Sun): hike along Mataranka Thermal Pool, Elsey National Park and then take in the natural beauty of Bitter Springs. To find reviews, photos, maps, and other tourist information, refer to the Mataranka trip maker website . Drive from Jabiru (Kakadu National Park) to Mataranka in 5 hours. Wrap up your sightseeing on the 15th (Mon) to allow time to travel to Katherine. Katherine is a town in Northern Territory, Australia. To find maps, ratings, other places to visit, and tourist information, go to the Katherine online road trip planner . You can drive from Mataranka to Katherine in 1.5 hours. In July, daily temperatures in Katherine can reach 36°C, while at night they dip to 16°C. On the 16th (Tue), wrap the sightseeing up by early afternoon so you can drive to Kununurra. Your day-by-day itinerary now includes El Questro Wilderness Park. Here are some ideas for day two: explore the striking landscape of Mirima National Park. To find reviews, more things to do, other places to visit, and other tourist information, read our Kununurra online tour planner . Drive from Katherine to Kununurra in 5 hours. Alternatively, you can take a bus; or fly. The time zone difference moving from Australian Central Standard Time (Northern Territory) to Australian Western Standard Time is minus 1 hour. Expect a daytime high around 36°C in July, and nighttime lows around 16°C. Finish your sightseeing early on the 19th (Fri) so you can drive to Katherine. 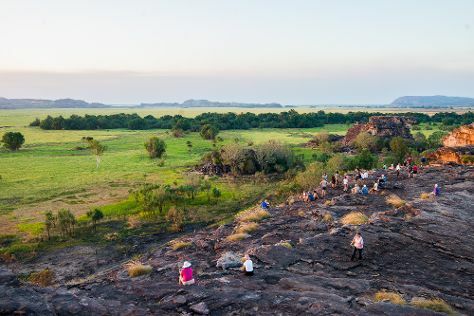 Start off your visit on the 19th (Fri): witness a stunning natural landmark at Katherine Hot Springs, identify plant and animal life at Low Level Nature Reserve, and then get a taste of life in the country at Katherine Outback Experience. To find ratings, where to stay, traveler tips, and other tourist information, refer to the Katherine trip itinerary planner . Drive from Kununurra to Katherine in 5 hours. Alternatively, you can take a bus; or fly. The time zone difference moving from Australian Western Standard Time to Australian Central Standard Time (Northern Territory) is 1 hour. Wrap up your sightseeing by early afternoon on the 20th (Sat) to allow time for travel to Litchfield National Park. For where to stay, more things to do, photos, and other tourist information, read Litchfield National Park trip itinerary maker website . Use the Route module to find suitable travel options from Katherine to Litchfield National Park. 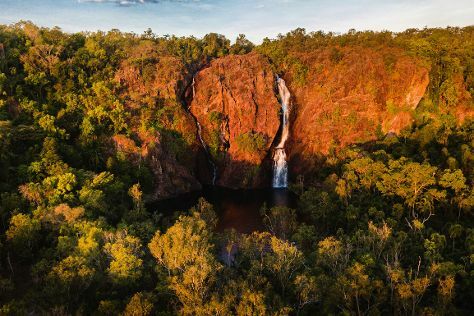 Expect somewhat warmer evenings in Litchfield National Park when traveling from Katherine in July, with lows around 22°C. 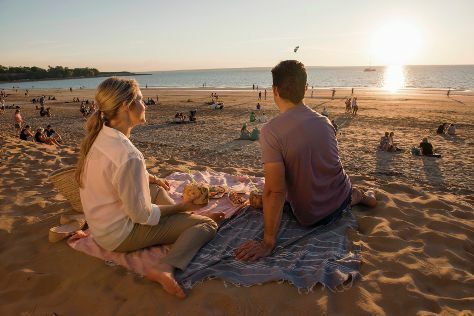 Wrap up your sightseeing by early afternoon on the 21st (Sun) to allow time for travel to Darwin. 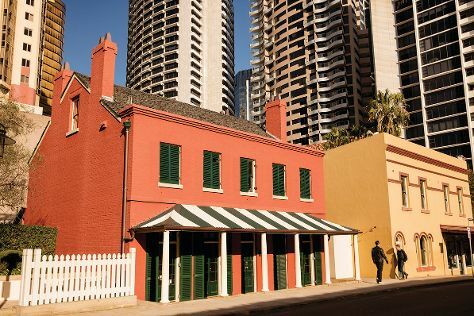 Start off your visit on the 21st (Sun): see the interesting displays at Defence of Darwin Experience. Here are some ideas for day two: surround yourself with nature on a nature and wildlife tour. To find reviews, where to stay, more things to do, and tourist information, use the Darwin day trip planning tool . Use the Route module to find suitable travel options from Litchfield National Park to Darwin. You'll have a few hours on the 23rd (Tue) to wrap things up before traveling home.